The news from the Middle East brings forth images of chaos and collapse of civilization. It’s difficult to find any sign of hope to combat the numerous problems facing the region. The recent Israeli elections brought forth major divisions in Israel about an ultimate reconciliation with the Palestinians and the treatment of Israeli Arab citizens. Thankfully, there are people in Israeli society working hard to bring some positive force to solve these problems. Here is information on one of those positive stories. The Mitzvah Project sponsored by Mifalot. Mifalot is an organization started in 1997, by Hapoel, Tel Aviv (one of Israel’s most successful soccer clubs) and the Kahanoff Foundation. The guiding principles of Mifalot are the following. • To capture the power of football in order to build more active, compassionate, just and cohesive communities, and • To support the sustainable development of a more engaged society, and • To promote peaceful coexistence in our immediate region and beyond. 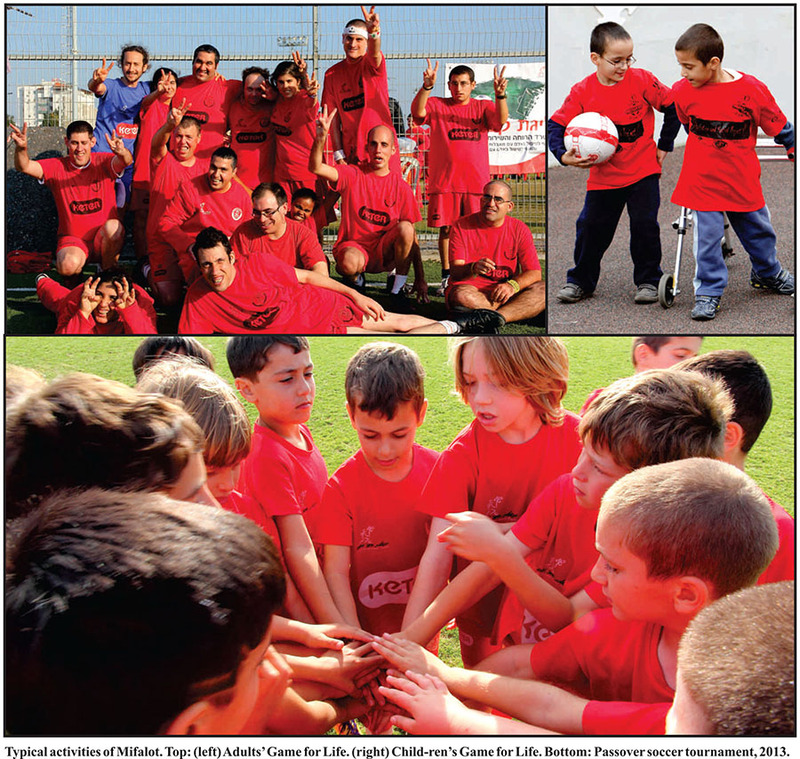 Mifalot provides programs using soccer, to bring social change. They provide programs for children in Israel with Special Needs, Youth at Risk, Girl Empowerment and provide activities for Israeli and Palestinian children to meet and interact using soccer as the medium for creating understanding. Recent activities of Mifalot included soccer interactions between Israeli and Palestinian children as recently as March 5, 2015. Sahar Amoun is a twenty-two year old Israeli Muslim woman of Arab descent. She is the Director of Mifalot’s Civil Service Graduate Program, a program that provides coaches and trained facilitators to promote the Mifalot activities. At a recent Jewish Funders Network conference in Israel she stressed the core philosophy Mifalot. “Our mission is to use sport to create positive social change by way of life skills training for disadvantaged populations and promoting understanding and coexistence among different groups in Israel and the region.’ The Mitzvah Project spearheaded by a twenty six year old, Israeli American Jew, Michael Friedman and the work of Sahar Amoun should put a smile on ones face about the possibility that a peaceful future may yet come to pass.